San Francisco lawyer Inder Comar didn’t at first strike me as a human rights crusader attempting to convey responsibility to seemingly the most intense political office on the planet. Perhaps it was the setting. Comar works out of a little, glass-walled office in the Impact Hub, the spot that the tech business has cut out of the San Francisco Chronicle Building, supplanting the daily paper’s emptied out center of writers with start-up business visionaries looking for “collaboration” and different business trendy expressions, or only the following extraordinary application. Indeed, that is a large portion of what Comar does in his business law work on, working together with administration specialists directly down the clamoring foyer to nourish the present tech blast that is having such a tremendous effect on San Francisco, for good or sick. Anyhow, the case that has pushed him onto the worldwide stage, his expert bono energy venture, is Saleh versus Shrub, et al. The claim — which is taking into account Alien Tort Claims Act of 1789, additionally inclines toward the Nuremberg Principles that the U.S. made to attempt and rebuff Nazi pioneers after World War II — contends that Bush and organization’s demonstration of military hostility makes them civilly subject for the harms that Saleh and her family endured when they were compelled to escape to Jordan as the social request separated after the intrusion. The claim was recorded in March 2013 and it was rejected by the elected region court in San Francisco in December 2014, taking into account the administration’s case that the President and other government workers are insusceptible from common risk for the official demonstrations, as spelled out in the Westfall Act and different affirmations of sovereign safety. Yet Comar says that simply in light of the fact that Congress and the Obama Administration haven’t had the stomach to dig once more into this foolish walk to war, a choice that is still hazardously undulating outward today, that doesn’t reason activities that obviously disregarded global law and the Saleh family’s rights. Comar is currently completing up a speak to the Ninth Circuit Court of Appeals (only two pieces down from his office) that he means to document in the not so distant future, contending that cases of invulnerability don’t have any significant bearing to pioneers who confer demonstrations of hostility that are unlawful under worldwide law, especially when those choices were made under false affectations (ie the stockpiles of weapons of mass pulverization that didn’t really exist). 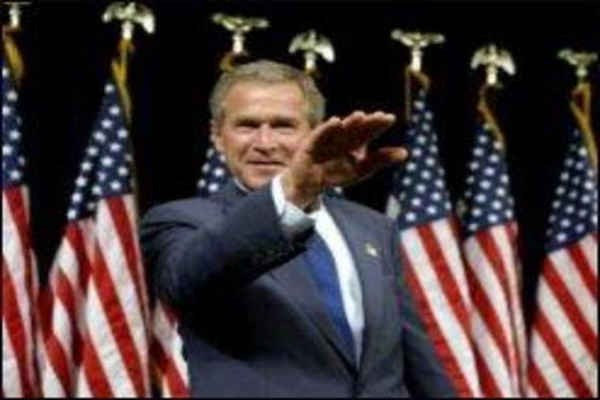 It was an arrangement put into movement after the 9/11 assaults, however that saber-rattling against Iraq by the neocon research organization Project for the New American Century started in 1997, when the individuals who might later lead the Bush Administration’s war exertion swore to topple Saddam Hussein by any methods important. Inevitably, Comar would most likely need to demonstrate the case for war was extortion to win the case, which doesn’t stress him: “Lawfully talking, nobody has ever let me know this isn’t a solid case.” But he’s going to need to defeat the insusceptibility issue before he ever gets to that point — a high yet imperative bar to succeed. That is one motivation behind why he’s been trying to work with global specialists, requesting that they go along with him in making the collection of legitimate work that will fortify the boycott on military hostility that was so integral to the Nuremberg court’s work. “Anyhow, no court has managed Nuremberg’s boycott on animosity,” he let me know. Comar’s case does appear to have produced more enthusiasm for worldwide circles that it has on U.S. soil, and a month ago he was welcome to address the Kuala Lumpur Foundation to Criminalize War’s International Forum on Peace and Justice, alongside previous United Nations Humanitarian Coordinator for Iraq Hans von Sponeck and different lights. He likewise plans to refer to the case that Spanish Judge Baltasar Garzón purchased against previous Chilean despot Augusto Pinochet in the late 1990s, requesting Pinochet’s capture and indictment in the wake of dismissing Chile’s case that its previous pioneer delighted in sovereign safety for requesting the torment and murdering of Spanish nationals. Comar told the social event. In the interim, Comar drudges away in the Impact Hub, doing work that truly could change the world, not through techno-thingamajigs, but rather through strengthening the imperative yet overlooked stand that a past American era made to anticipate future wars and consider the pioneers who dispatch them responsible. In any case, if the Ninth Circuit decides that household invulnerability doesn’t matter to Bush and his kindred war hawks, then the case will probably be considered on its merits in government court. It’s truly a long shot, yet wearing down the dividers of energy to make surges of equity, that is San Francisco values getting it done. The American judicial system is corrupt and politicized. If anyone gets a fair trial it is in spite of the system ,not because of it. Taking that into account, it would be well worth those looking for justice to seek it in other venues. There are European nations where the judicial systems are truly independent, which do not take orders from their respective governments. Spain is one to try, Italy is another. These nations suffered human losses due to Bush and company’s war crimes. Why not try there. The US unfortunately is a lost cause.